Heli-Max is one of the most reliable and popular names in the world of helicopters and quadcopters as they produced a range of quadcopters, helicopters, drones and accessories both for the beginners and the experts. Catering the target customers with their defining phrase ‘Explore the Infinite’, Heli-Max has surely produced a range of high performing quadcopters and helicopters. And all adds up to making our work difficult when it comes to choosing the best Heli-Max quadcopters. All the devices that come from the house of Heli-Max are well tested and undergo a rigorous quality check process. The products under this brand are durable along with being highly attractive. Talking about the best quadcopters that have come from the house of Heli-Max names like 1SQ, 1SQ V-cam, 1Si, 230 Si, Voltage 500 3D, and FORM500 are just a few of them. The company is also an active helicopter maker and has so far launched a range of helicopters consisting of Axe 100 CX and 200FP V-Cam. If you are on the lookout for a compact drone that can fit in your palm, at the same time providing you with some world class photography, this is the one! This little toy has got a lot of stuff that will simply leave you amazed and surprised. 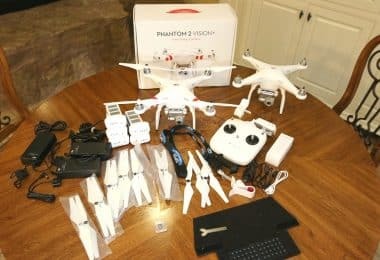 It comes with almost everything that you would need to get it into the air for just $129.9. 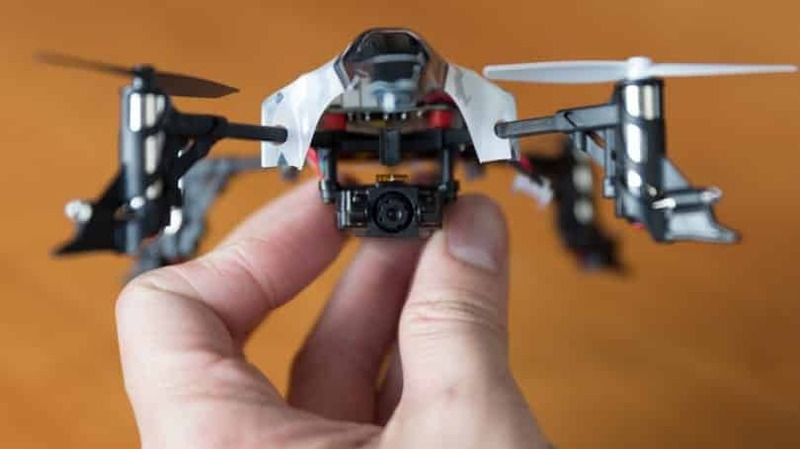 It has an already programmed transmitter which is linked to the quadrotor, 4 rotor blades, 4 AA batteries, a 250mAh LiPo battery, a USB charger, a micro SD card, and others. 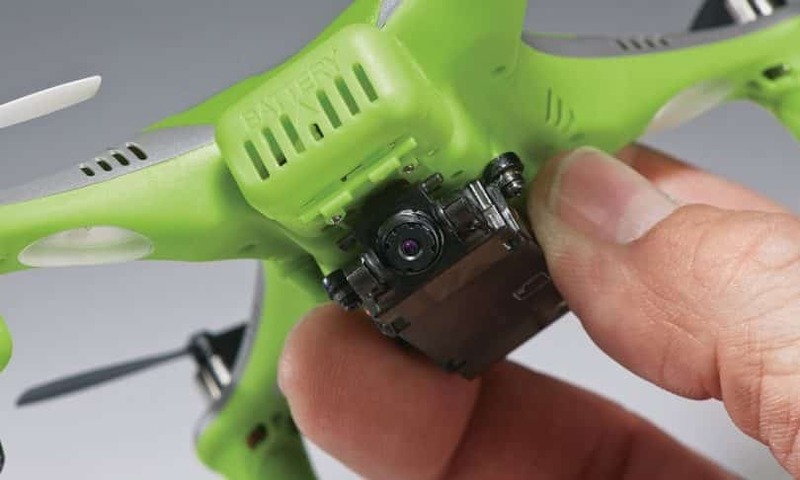 This quadcopter comes equipped with a TAGS–FX sensor stabilization system that helps the quadcopter calibrate itself within a couple of seconds when left on a flat surface. 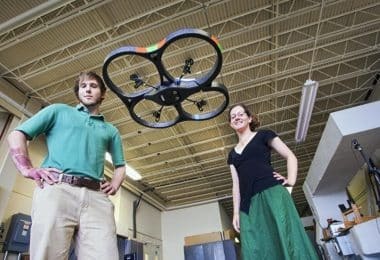 The copter is well protected from rotating and pitching in mid-flight, all thanks to its 3-axis gyro and 3-axis accelerometer. The transmitter of the drone comes with two modes– one for smooth flying and other for aggressive flying. The flight time is average for drones of this range and a fully charged battery takes around 45 minutes to 60 minutes. This gives a flight time of 10 to 12 minutes. The drone comes with a miniature camera in the front. This allows one to easily capture images and videos simply by pressing a trigger on the transmitter. Although the images are not of the best resolution, they are still clear and noise-free. Also, care must be taken that you are flying it in favorable weather conditions, as even a light wind may result in it in toppling or displacing it. You have to remember that this is a small, lightweight drone. 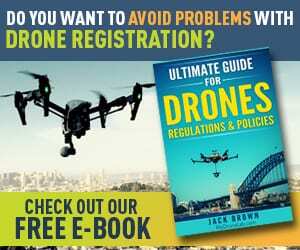 This is perfect for beginners and novices who are still in the process of getting acquainted with the nitty-gritty of the flying a drone, and we also have an in-depth review of this model so check it out if you want to get more familiar with it. At a price tag of $179.97, Heli-Max 230 SI comes equipped with some really out of the box features. Accompanied by an above average camera, you can expect fair quality images from it. It is the same camera that we had in 1SI, and no upgrades are introduced in this. It comes with 3 gyroscopes and 3 accelerometers that keep the drone stable during flight. It has two flying modes as well like the above model that we discussed. The two modes here are beginner and expert. 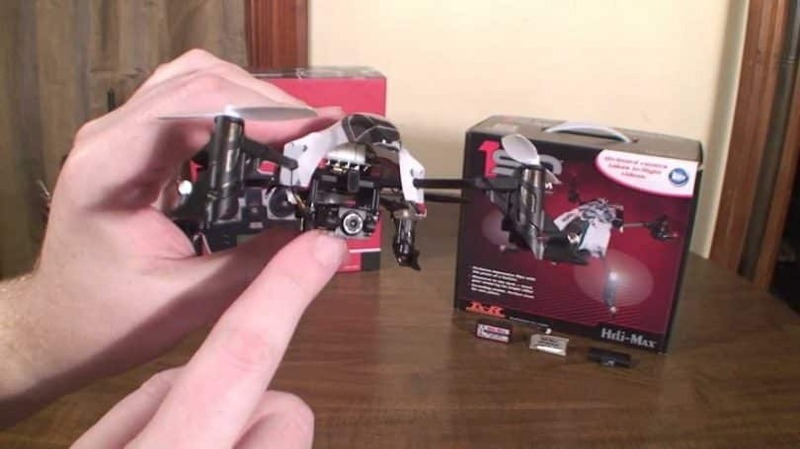 The beginner mode makes use of stability features that would keep the drone stable throughout, and gives a chance to the first time flyers to have their hands dirty of controller and quadcopter itself. However, the expert mode turns off a few stability features, thus giving greater control to the pilot. This drone also comes with an attitude control management feature that could be an asset for beginners and novices. This feature allows you to fly the drone at a set altitude. You can choose to disable this feature in order to manually control the attitude. Overall, more or less, it is almost the same features with a new packaging as we saw in 1 SI. Voltage 500 is the recent beast from the house of Heli-Max that is all set to take your flying experience to an all-new level. It comes with no camera gimbals, and GPS waypoints and 3D terrain mapping – what it comes with is just perfect and pure flying experience. Priced at $430, this is a 500mm quadcopter and is equipped with a 1400 kV brushless motor. The quadcopter comes with the finished and settled setup. Hardware comes well connected except for the props. The electronics include a power distribution board, electronic speed controls, and a flight controller. The flight controller comes with two lying modes – 3D and stability. 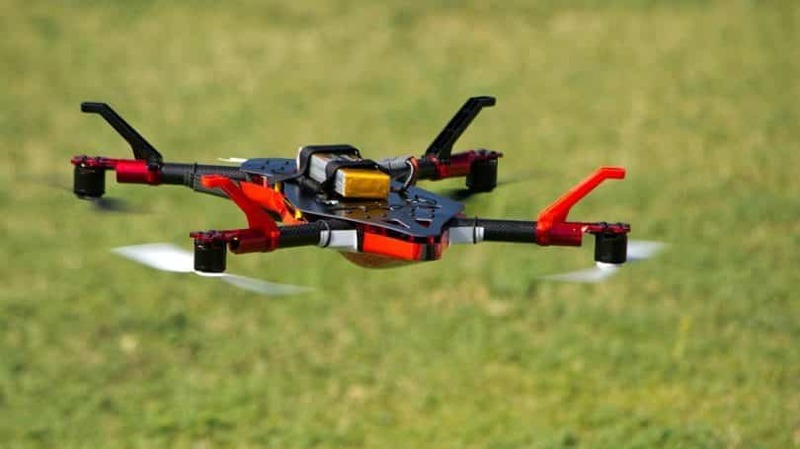 3D mode allows the quadcopter to rotate about its axis while flying at a defined rate. This way you would be able to make your quadcopter flip and roll as you go. Stability mode is the mode that goes well with beginners and the ones who are still trying their hands on the nuances of flying. In stability mode, you can give instructions to the drone regarding angle through the control stick. And, as you bring the stick to its neutral position, the quad will resume its level flight. The quadcopter, on a whole, provides awesome flying experiences. The large size and vibrant colors further add to its versatility. Flight time will depend on the voltage that you are providing and the battery used. Tagged with a price range of $150 on amazon, Heli-Max 1 Si is the perfect drone that you could have. It comes with an optional 720p HD camera that can be employed to good use for capturing videos and images during flight. This is one quadcopter that comes with the option of actual direction. 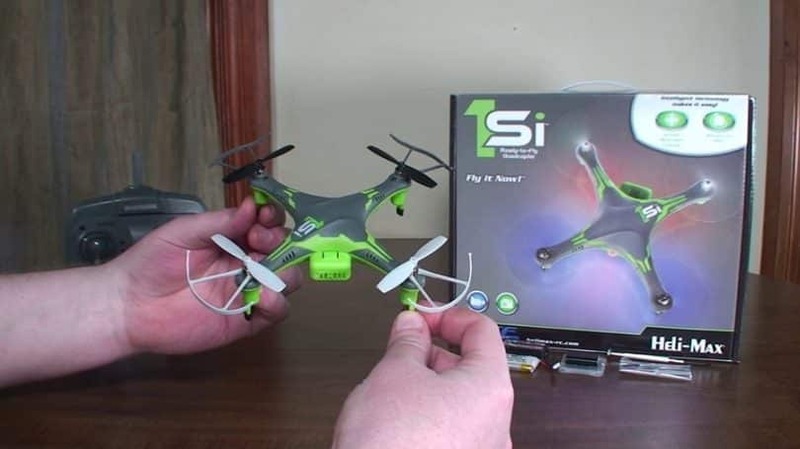 Unlike other quadcopters which tend to move in the reverse direction of what is instructed, Heli-/max 1Si, comes with a button which when pressed would allow you to move the quadcopter in sync with the controls. What more could you ask for? 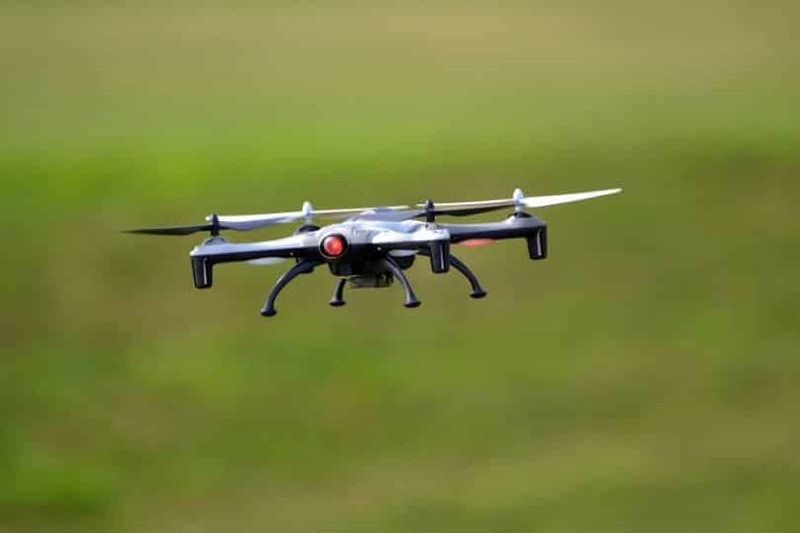 Further, if you are not an expert in flying, or you somehow lose the contact with your quadcopter during its flight, you can simply make its return to pilot feature to use. This would instruct the quadcopter to return to its home. This feature also comes to rescue with there is no much battery left. The flight controller comes with two modes – beginner mode and an expert mode. Beginner mode makes use of stability function in order to provide stability to the flight. It does this with the help of gyroscopes and accelerometer. Expert mode provides you a greater control over the drone and allows you to explore advanced features. Heli-Max Form 500 quadcopter from Heli-Max captured big headlines at the time of its launch, all thanks to its standalone remote controller, a feature which we do not get to see frequently in other quadcopters. Costing about $550, it is priced slightly higher than others. It comes with a standalone remote controller, which means you would need to do enough homework in order to get command over its controls. The quadcopter has an impressive flight time of 15 minutes as compared to an average flight time of 10 minutes. Not only this, you can also make it carry a payload of 1000 grams, which again is a bit high than the average payload that a drone carries. Thus, this opens various options for you. If you are a photography geek, its high payload capacity provides you the option of carrying an average GoPro action camera. Heli-Max form 500 doesn’t have an inbuilt camera with it; however you can enhance it with integrating it with an external camera. The camera can be easily attached to the drone main body. Further, since it comes with 2 axes of rotation you can stay assured that the camera will remain steady and focused providing you best quality pictures always. Undoubtedly, Heli-Max has something for everyone. However, picking one out of the range of options provided becomes a tough task. To aid you, we are here with our analysis. Our first pick, Heli-Max 1SQ V-Cam Quadcopter, is just a perfect choice for novices who are not yet aware of the nitty-gritty of the field and are still trying hands at flying. It comes with a stabilization system consisting of 3 axis gyro and a 3 axis accelerometer. This provides an impeccable stability to your drone which would help you in controlling it during a flight, especially when you are a starter. Coming at a very affordable price of $129.9, this is definitely a quadcopter novice can try their hands on until they are an expert on it. As revealed by various users, a starter can gain full control over this drone just with half an hour of practice. 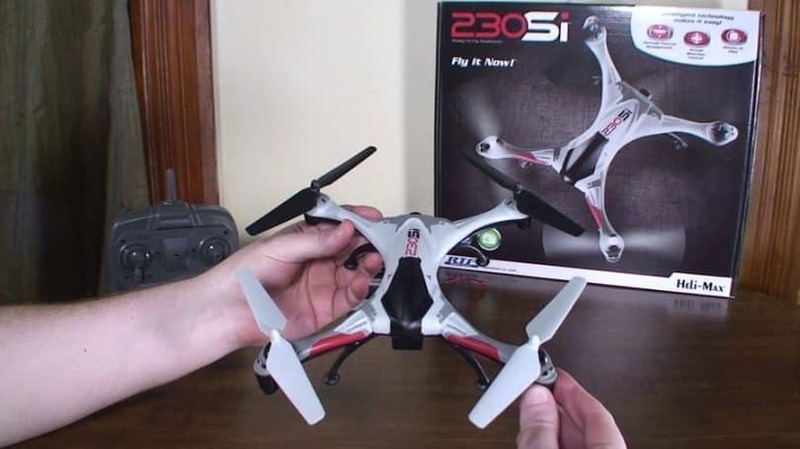 The next on our list is Heli-Max 230 SI RTF Quadcopter with Camera which again comes in near around the same price bracket and offers some impeccable features. With attitude control management feature and stabilization feature, this drone also forms a perfect pick for novices who have just entered into the field out of curiosity or enthusiasm and are still learning to have a knack for it. The attitude control management feature helps you in keeping the drone flying at a pre-set attitude. This means drone won’t ascend further, but would keep on moving forward. 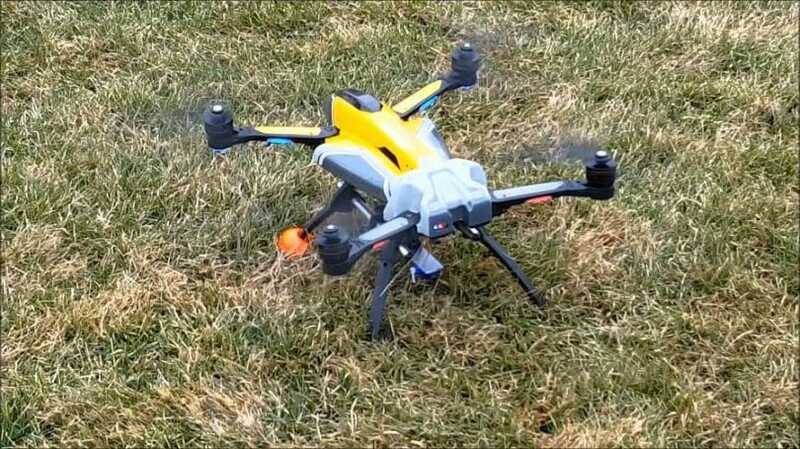 The stabilization feature is the same that we saw in Heli-Max 1SQ V-Cam Quadcopter. This comes with a 3-axis gyrometer and a 3 -axis accelerometer. This keeps the copter stable during its flight. Thus, it is a perfect pick for novices, beginners, and photographers who are just starting their career. Next up is Heli-Max 1 Si. 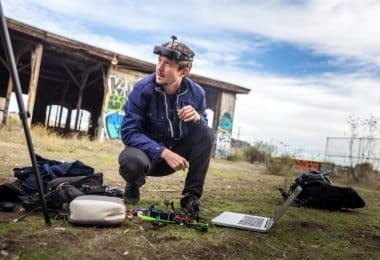 If you are the one who faces problem in getting sync with the controls of the transmitter why not ask the drone to get synced with your instructions? Yes, this is what makes this drone unique. 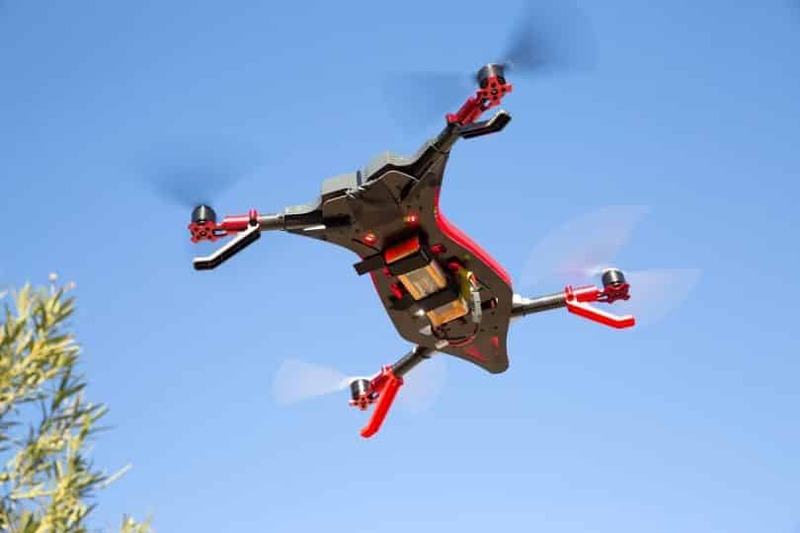 It comes with a direction control feature that allows your drone to be in sync with your controls, unlike others who move in reverse direction. This thus is a perfect choice for beginners and novices and comes with an easily affordable price tag of $150. 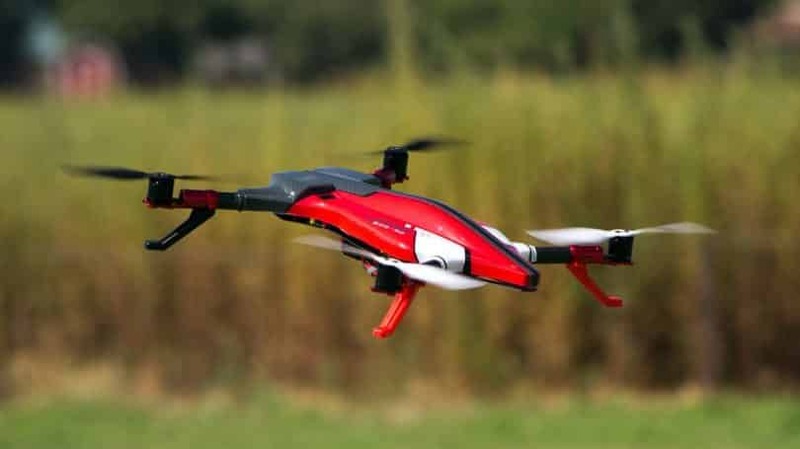 Heli-Max Voltage 500 Aerobatic Quadrotor is the perfect drone for experts and provides full control over its flight. It doesn’t come with any camera gimbals and GPS waypoint attached to it. All it promises to deliver is the pure flying experience. You just need to attach this with a voltage providing battery and it would be a good to go. However, priced a bit higher at $430, it does deliver worth it! The last one on the list is priced a bit high but delivers what it promises to be. Heli-Max form 500 comes for $550 and is perfect for use in photography and films by experts. With an impressive flight time of 15 minutes and a standalone remote controller, much can be done with it. It doesn’t come with an inbuilt camera but its ability to get integrated with a GoPro camera would just prove to be an icing on the cake for photography enthusiasts. 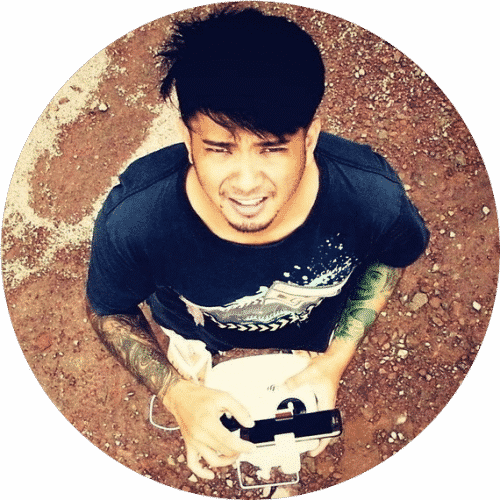 Also, if attaching an action camera is an important feature for you, we suggest checking out our article about GoPro drones, as they are all capable of carrying a GoPro, or any other action camera in the air, without a problem. Hope we were able to impart an in-depth insight onto the various quadcopters of Heli-Max. If you still have any query, don’t hesitate to ask us in comments!